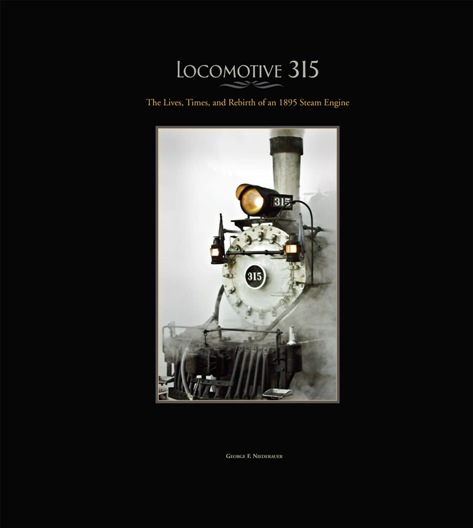 Our book, Locomotive 315, is still available directly from DRHS or from selected bookshops but because of postage costs we can only fulfill orders to addresses in the United States. For overseas orders please go to the ‘Non US Sales‘ page and choose one of the listed suppliers. For the responses from the reading public go to comments from readers. Option A. (The easiest!) Use PayPal to buy the book directly from the Society. Option C.. Purchase the book from a selected bookshop. See the list of bookshops. Discount. Sorry, but we are unable to offer a discount. DRHS cannot afford to discount the book, not even to the board members, key volunteers, and sponsors. In these tougher economic times, we need the profits from the book to assure our good standing financially to progress on projects we and assure maintenance and operation of the 315 (believe it or not, the 315 is a cost center, not a profit center). The State Historical Fund of the Colorado Historical Society funded part of the book and only required three copies in return. None of authors or contributors receives any royalty. All profits are retained by the Society. Thus, we try to direct sell as many as we can, but we also make the book available in selected bookshops for half the normal discount. Size: 514 pages at 11.5 x 11.5 inches, color matte laminated hardcover, about 7.5 pounds. Historical photographs and documents from several public archives, including the Smithsonian Institute, Railroad Museum of Pennsylvania, DeGolyer Library at Southern Methodist University in Dallas, Denver Public Library, Colorado Railroad Museum, Colorado Historical Society, California State Railroad Museum, Stanford University, and the Science Museum in London, England. Large collections of photographs from Jim Ehernberger of Cheyenne WY, Mallory Hope Ferrell of Peachtree GA, Al Chione of Elizabeth, CO, and the Friends of the C&TS (Dorman collection) in Albuquerque, NM. Many other people supplied photos and documents as well, as noted in the book. We are indebted to Jimmy Blouch of Littleton CO for searching his 35mm copies of dispatcher records to identify photographs of the 315 and the whereabouts of it during the 1930s and 1940s. From his data and that of others we have a good idea of much of the operating history of the 315. Excellent and very detailed drawings by retired draftsman Chuck Johnston of Ft Collins, CO, produced from hundreds of measurements of the 315 and thousands of detailed photographs. Many wonderful photographs by two dozen photographers of the 315 operating on both D&S and C&TS the past three years.